Home » Baby Books » Family » Picture Books » Pop-Up Books » Reviews » Reviews by Tania » Siblings » Tania McCartney » Toddlers » Review: Hello in There! One of the most dramatic and life-changing times a child can go through is the introduction of a baby sister or brother. The excitement, the uncertainty, the world turning upside down--all of these things combine to make it a very challenging time, but what challenging time cannot be eased by a great book? In Hello in There! 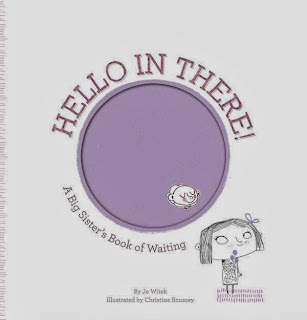 (a big sister's book of waiting), Jo Witek takes young readers on a delightful journey to that enormous balloon-like structure that has become mum's belly. Our young protagonist knows there's someone inside this belly. She knows it's in there and she's out here. And she's waiting so patiently, one eye firmly attached to that growing orb, wondering what it's like inside. Is it dark? Can you hear me when I sing? Will you have straight hair like mine? Do you sleep at night? Alas, waiting seems to take forever when you're so little, but our young lass busies herself with wondering and hoping and dreaming and sharing the world she lives in, telling her wee sib how fabulous it will be when they can come out to play in the sunshine. And when baby eventually arrives, it's every bit as wonderful as she knew it would be. I love the positivity, love and warmth of this book--with a completely upbeat plotline and ending that will help children understand the joys of a new playmate. Cartoony iIllustrations by Christine Roussey are completely heart-palpitating--stunning line drawing with splashes of colour and superb lift-the-flaps showing baby growing inside. 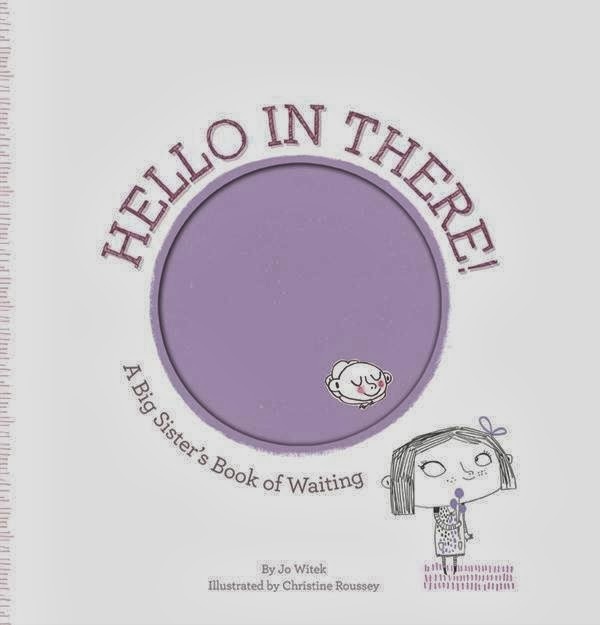 This book will completely entrance expectant siblings, and help put them--mentally and emotionally--in a sunshiny place for welcoming their brother or sister to be. It's also a must-have for illustration lovers. Kids included.